Patriarch Bartholomew is presiding over what appears to be a dying community. Some describe him as the equivalent of the "pope" for the world's Orthodox Christians. But Bartholomew, who is now 70, may become the last in a line of some 270 bishops in Constantinople. 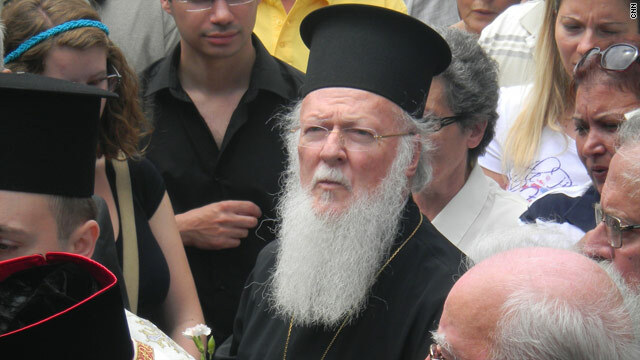 The Turkish government refuses to recognize Bartholomew's title as "Ecumenical Patriarch." Twenty-five years ago, the Turkish government shut the seminary where Greek Orthodox clergy traditionally trained. Greeks who do not hold Turkish passports are barred from becoming clerics. "World's Untold Stories" showcases the best of CNN journalism covering powerful tales that are always captivating with compelling characters at the center. Recent episodes have covered the "Train of Death" ride through Mexico to the U.S., tracking down key figures from Cambodia's Khmer Rouge regime, anti-Roma discrimination in Europe and extreme Christians in the United States.